William E. McClure born in 1785 in Ballymena, County Antrim, Ireland, which is just north of Belfast on the coast of the North Channel and the Firth of Clyde. 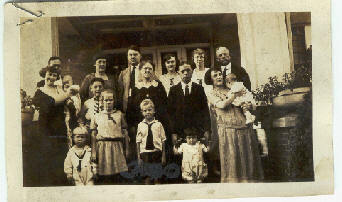 This is when the family immigrated to America. 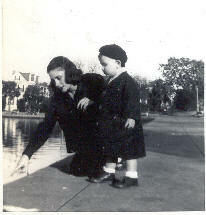 William was a very young child, so young that once when questioned he said he thought he was 'from' Baltimore, Maryland, which is where he was raised. In the early (?) 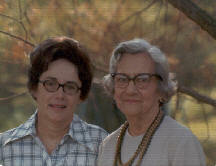 they moved first to Bedford County, Tennessee, and then to Giles County,TN . 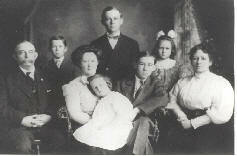 Subsequently they were residents of Marshall County when that county was formed from a portion of Giles. Notes for Marshall County say he settled in that area by 1808 or 1809. 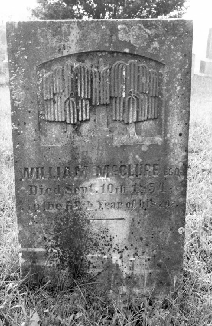 William McClure was a prosperous farmer and civic minded man. He was the first chairman of the court of Marshall County when it was formed on 4 Oct 1836. “The first settlers west of the Cumberland Mountains were generally, of the [Scottish] race and quality.” He married Eleanor Ewing Purdom on 11 Nov 1813 in Greene Co, TN. Eleanor, called “Nellie,” was born 17 Nov 1793, the daughter of Alexander E. Purdom and Margaret Purdonia Ewing. Marshall County was formed in 1836 from Maury, Lincoln, and Bedford counties. In 1870, a part of Giles County was also added. Marshall County was named in honor of John Marshall, chief justice. The southern part of the county consists of fertile valleys and hills; the northern part is mostly level. It is drained by the Duck River. The county seat is Lewisburg, named for Meriwether Lewis. In the history of Marshall County, TN it states that the first County Court as organized on October 3, 1836 in the home of Abner Houston. 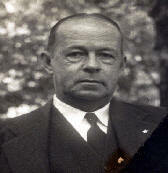 William McClure is listed as one of the Justices of the Peace, and was also named Chairman. Abner Houston deeded 50 acres to the county for the town site that became Lewisburg, TN on December 16, 1837. James McClure was born ca 1788. I know nothing else about James, except that he supposedly had a son named John. 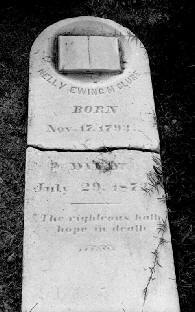 Mary “Polly” McClure was born ca 1789. Robert McClure said her tombstone says she was 68 when she died, but this must be wrong. She died 4 Jan 1849.